Please call owner Rusty at 412-337-8901. Boat is in Denver, North Carolina. I have a 2011 Regal 2300 boat that is in perfect condition for sale. It has approximately 100 hours on it. 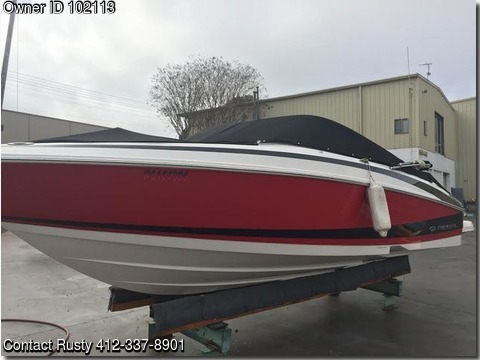 The boat is red with white seats and carpet interior. It is kept in dry storage in Denver NC so the outside looks brand new since it doesn't sit in the water all the time. The marina where I keep it is paid for, so the boat can still be stored there and could be renewed by new owner at their discretion. The boat does not come with a trailer, I did not have a need for it since I've kept it at the marina since I bought it. Please call or text me if you're interested and we can arrange a meeting time to look at the boat.